‘Tis the Season for Holiday Savings Thanks to MasterCard and the “Here’s to Mom” Promotion! One thing I've learned in my three years of being a mom is that it's NOT EASY...especially around the holidays! Preparing holiday feasts, mailing out greeting cards and trying to find the best bargains for everyone on your shopping list, in addition to the regular household, parenting and work-related duties we already do is enough to take the Feliz out of your Navidad. Thankfully, MasterCard has come to the rescue of every hardworking mom out there and given us our holiday gift early with the "Here's to Mom" promotion. MasterCard doesn't want us to battle those overcrowded malls, stores and parking lots or stand in another never-ending and never-moving line this holiday season. 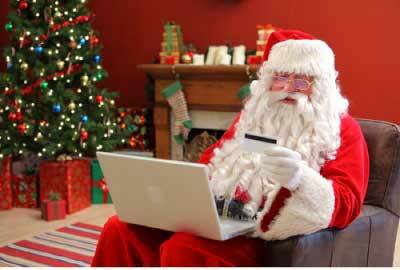 Relax, sip a steaming cup of cocoa and do some online shopping in your pajamas instead and GET REWARDED FOR IT! You'll even enjoy an easy way to stay on top of your holiday budget with simplified online tracking of your purchases. Signing up is easy and you can earn an even easier $20 MasterCard gift card for doing so! And if you're a super savvy shopper and are planning on hitting the online stores for Black Friday and Cyber Monday, this is just an added incentive to save even more. The "Here's to Mom" promotion from MasterCard is so easy, rumor has it that another well-known shopper will be taking advantage of it too! Disclosure: I received a promotional item from MasterCard to thank me for my participation. The thoughts and opinions expressed here are purely my own and have not been influenced at all by any form of compensation. One Response to ‘Tis the Season for Holiday Savings Thanks to MasterCard and the “Here’s to Mom” Promotion! Big Bargain Broadcast: Daily Deals, Coupons and Savings for Holiday Shopping ~ November 14th!